Just added to GlowShift’s inventory are new diesel gauge sets that are ready to be installed to your diesel truck! Our new gauge sets feature three diesel gauges that monitor three vital components of your truck which include a 60 PSI Boost Gauge, 2400° F Exhaust Gas Temperature Gauge and your choice of either a Transmission Temperature or 30 PSI Fuel Pressure Gauge. These new diesel gauge sets are available in our Tinted 7 Color, Black 7 Color and White 7 Color Gauge Series that feature GlowShift’s 7 Color through dial lighting and allows you to select from 7 different colors to match your factory dash lights or by adding a custom style to the interior of your truck. 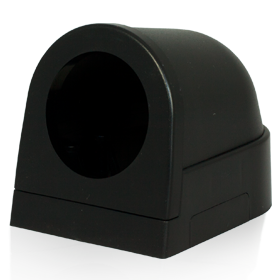 Each diesel gauge set can be mounted directly to your truck’s A-pillar by installing one of GlowShift’s Vehicle Specific Pillar Pods or you can even mount the gauges directly onto your dashboard using a dash pod! Whichever way you plan to install the three diesel gauges, GlowShift has the solution for you! 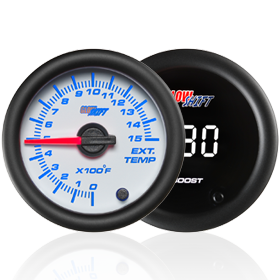 GlowShift’s 60 PSI Diesel Boost Pressure Gauge reads from 0-60 PSI and installs directly to your truck’s intake manifold with the included brass compression fittings and 9ft. of boost hose that connects to the back of the gauge. To drill and tap your intake manifold, you will need to use one of GlowShift’s Drill and Tap Kits that comes with a size R drill bit and a 1/8-27 NPT tap that will allow you to thread the brass compression fitting into the source. GlowShift’s 2400° Pyrometer EGT Gauge reads from 0-2400 degrees Fahrenheit and comes standard with a Type K Thermocouple Probe that features 6ft. of stainless steel braided cable. You can install the EGT probe to your exhaust manifold by drilling and tapping at the pre-turbo location for optimal temperature results, or you can use one of GlowShift’s Exhaust Temperature Brackets that connects to the exhaust pipe, eliminating the need to tap the manifold. 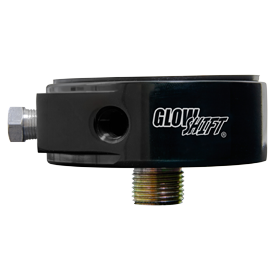 GlowShift’s Transmission Temperature Gauge reads from 100-300 degrees Fahrenheit with the included 1/8 NPT temperature sensor. You can install this temperature sensor at the transmission test port location, but if you’re installing this Transmission Temperature Gauge to a 1994-2007.5 Dodge Ram, GlowShift’s Transmission Test Port Sender Extender is required to complete the installation. Another location to install the temperature sensor is at the stock sensor location of your truck. 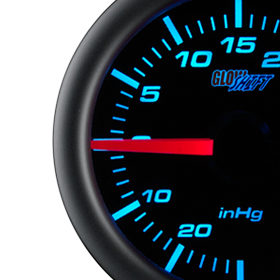 GlowShift’s 30 PSI Fuel Pressure Gauge reads from 0-30 PSI with the included fuel pressure sensor and 6ft. 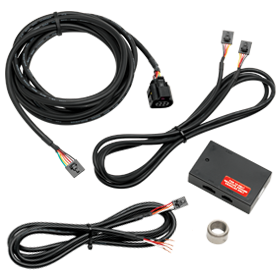 sensor harness that can be installed directly to your fuel filter housing, fuel rail or lift pump for extremely accurate statistics. 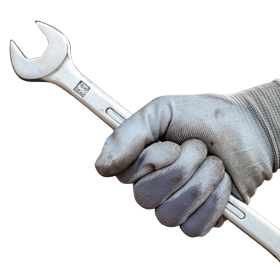 GlowShift’s Banjo Bolt Adapter was designed specifically for the 1998.5 – 2010 Dodge Ram with a 24v Cummins motor and will replace the stock banjo bolt, allowing you to easily install the Snubber Valve and fuel pressure sensor to the fuel filter housing. Using a Snubber Valve eliminates fuel pressure spikes present throughout the fuel system during the initial start up of the diesel engine through the use of a regulator. High pressure fuel system spikes are extremely harmful and may cause unexpected failure to fuel pressure sensors for fuel pressure indication devices and gauges.